Every crime victim in Oregon has legal rights. Many of these rights go into effect automatically and can be found in the Victims’ Rights in the Juvenile Justice System brochure. Other rights must be requested before they go into effect. A crime victim, their attorney or the District Attorney may assert and enforce these rights on their behalf. be notified of rights as soon as practicable. speak at a release hearing. protect your personal identifiers from an alleged youth offender. be notified if your case will be handled informally instead of through the court process by formal accountability agreement, diversion or teen or peer court. get certain criminal history information about a youth offender (alleged or adjudicated). be consulted by the District Attorney or juvenile department about plea negotiations and the final plea agreement in a violent felony case. test the youth offender for HIV if the crime involved the transmission of body fluids. limit copying or distribution of visual or audio recordings of sexual conduct by a child or an invasion of personal privacy. receive case information given to the youth offender in DUII automobile collision cases. be notified when the adjudicated youth is released from an Oregon Youth Authority (OYA) correctional facility. Many other rights may apply. For a general overview, please review the Victims’ Rights in the Juvenile Justice System (PDF) » brochure, also available in Spanish (PDF) » and Russian (PDF) ». For assistance, please contact your local District Attorney Victim Assistance Program, your local Juvenile Department, or the Oregon Department of Justice. Crime victims may be notified upon request of critical stage hearings for youth under probation supervision with the county Juvenile Department. 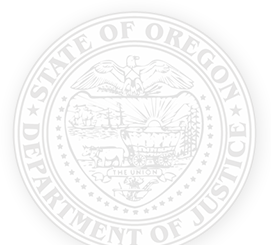 To receive notifications of hearings for youth committed to the custody of the Oregon Youth Authority, crime victims must provide their contact information. For more information or assistance call 503-373-7205. Youth committed to the OYA for placement in a youth correctional facility (close custody) may be paroled. Crime victims may request to be notified when a youth committed to a correctional facility is released from custody. Youth on parole are supervised by the Oregon Youth Authority (OYA). VINE (Victim Information Notification Everyday) gives crime victims 24-hour access to limited information about youth offenders in custody at OYA correctional facilities. You can use VINE by calling 1-877-674-8463 or by visiting VINELINK.com ». If the youth is under the authority of the Juvenile Psychiatric Security Review Board, crime victims may provide their contact information to the Oregon Psychiatric Security Review Board by calling 503-229-5596 to be notified in advance of hearings, or when the youth is released, discharged or escapes. To be notified as soon as possible of an escape, contact the facility where the youth offender is committed. In addition to any other remedy provided by law, the parent or parents of an unemancipated minor shall be liable for actual damages to person or property caused by any tort (wrongful act) intentionally or recklessly committed by the minor. [See ORS 30.765 » the complete statute]. Please seek legal advice for further information.